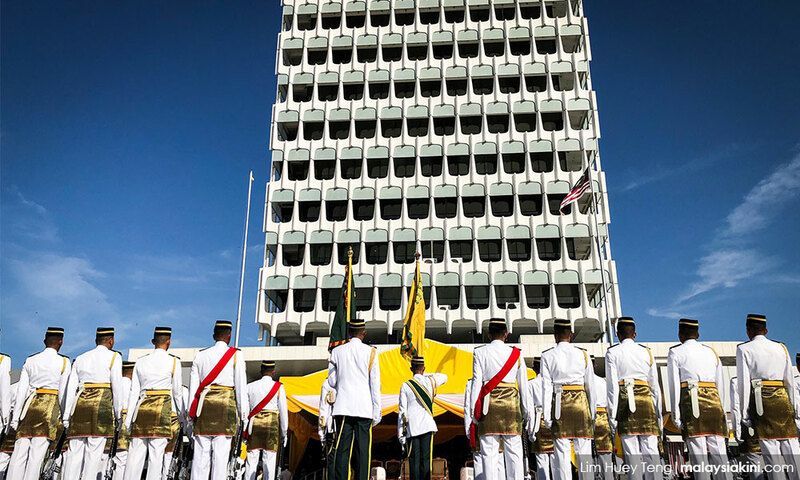 COMMENT | Long before the British set foot in Malaya, the nature of politics in the country was rather feudalistic, with sultans sitting atop the political hierarchy. This was a shared feature of many Southeast Asian countries at the time. In Indonesia, for instance, feudalism was commonplace until the arrival of the Dutch. These rulers or sultans were considered the deputies of God on earth, and enjoyed the loyalty of their subjects. Being disloyal or derhaka toward a sultan was considered a heinous sin. Subjects were the property and the manifestation of power of the sultans. To the sultans, losing their subjects was tantamount to losing their power and prestige. And for the rakyat, sultans were the only figures in which they could place hope, even as sources of self-identification. In general, politics in traditional societies was centred around royal courts. In fact, most hikayat were highly focused on histories of royalties and national heroes, such as Sulalatus Salatin, Bustanus al-Salatin, Hikayat Deli, and Hikayat Raja-Raja Pasai. 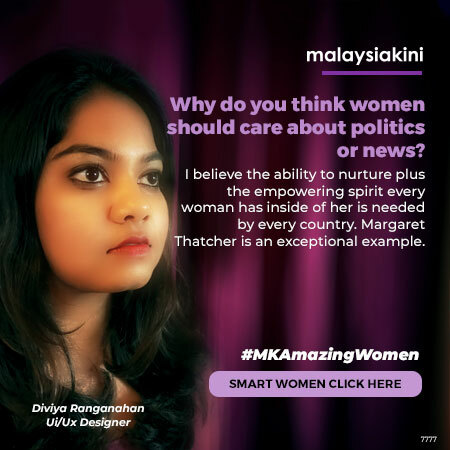 After the British left and Malaya gained independence in 1957, democracy was introduced and people got to choose their own representatives independently through elections. The power to rule and decide the fate of the country was handed over to the people. In the newly embraced form of democracy, what counts is not just voters, but also their voices. 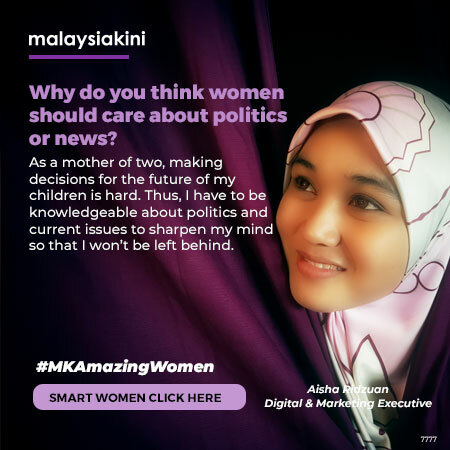 People are expected to play their part in politics, be active, and have the power to make their own decisions. Unfortunately, the drastic change in the political system did not necessarily entail changes in the attitudes and minds of the people. Indeed, citizens may differ greatly with regard to the ways in which they adapt to the changes that take place around them. This, of course, includes the structural changes that have enabled them, as a political community, to play a role in decision-making processes. 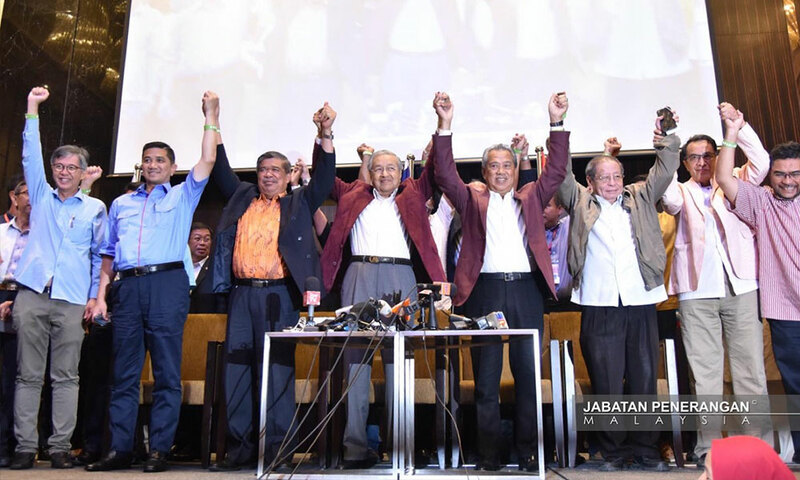 After six decades under the democratically elected but dictatorial rule of BN, the long-overdue political upheaval of May 2018 resulted in the increased submission of Malaysians to their political system. Democracy, at least in this particular part of the world, had somehow deviated from its original essence – to liberate the people and to create more politically active citizens. In such situations, it is only the politicians who seem to be dominating politics. However, we see evidence of democratically elected representatives who have begun to not 'walk their talk', to the extent that they forget their roles as servants of the public. 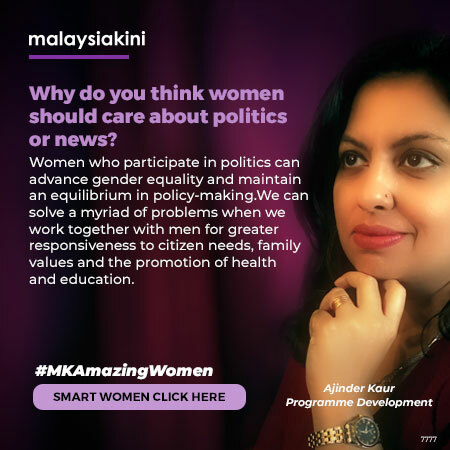 Similarly, we see a big portion of Malaysian citizens across different religions and ethnicities who still consider politicians the main political players, even as fixers for individual problems. 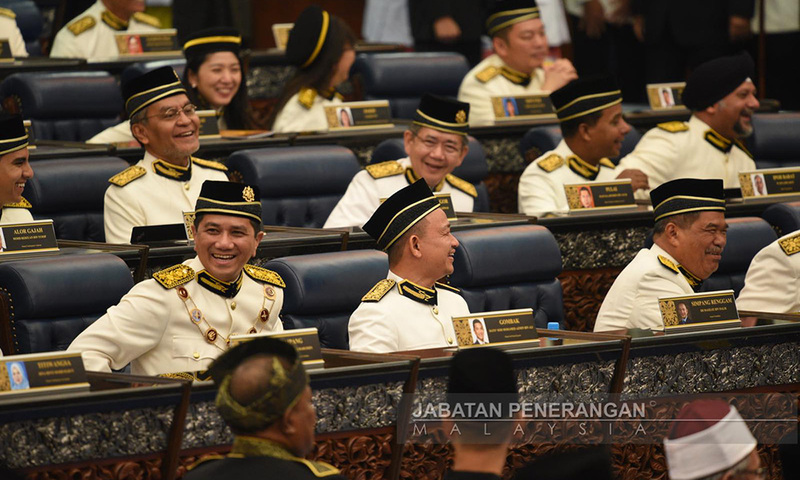 Just think of our deference towards politicians during social events: the need to have politicians presiding over ceremonies is so heartfelt in Malaysia, that it seems like nothing is possible without having at least one politician coming to officiate the event first. Some of them even enjoy the opportunity of being hailed in such a 'monarchic' manner. 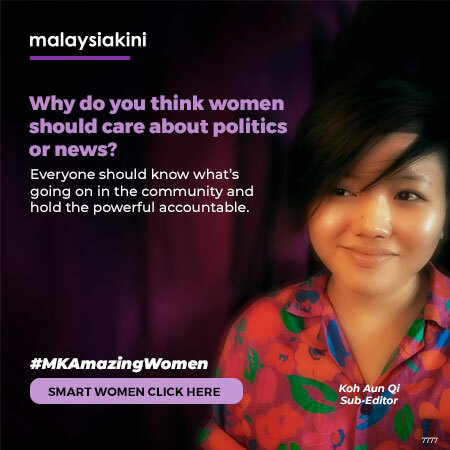 The result is that Malaysian politicians are now perceived by the public as 'superhumans' holding absolute political power – probably as much as the esteemed sultans of the past had once enjoyed. This feeling, it seems, reflects a similar glitch within the system itself: instead of creating more politically active citizens, such an encompassing, feudal-influenced democratic culture creates the conditions for fatalism. What politicians say and do is then considered the common narrative. Unfortunately, many have taken the bait, ending up echoing these same sentiments. To respond to this situation, we must take a closer look at the importance of the fourth estate in helping create discourse and drawing narratives. Like most royal-centred hikayat, which played a role in telling stories and creating a body of regime-stabilising literature, today’s newsrooms hold a similar responsibility. To quote the Adult and Youth Literacy: National, Regional, and Global Trends report published in 2016 by the Unesco Institute for Statistics, out of 85 percent of Malaysians who read regularly, 77 percent preferred newspapers as their main reading material. 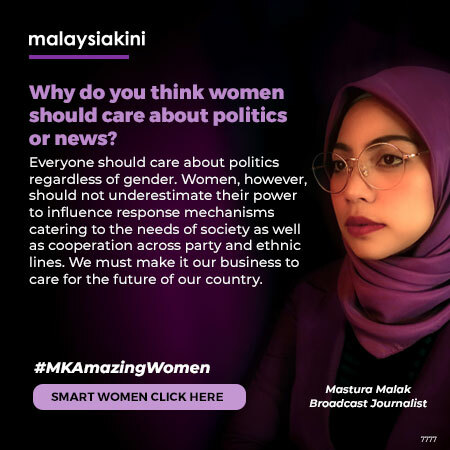 This data shows how strong the power of journalism is in educating, as well as shaping, the minds of Malaysian people. By following political news on various media platforms myself, I began to realise that we now pay too much attention to politicians, rather than politics. The result is that these days, reading political news is akin to observing a 'political drama' of sorts, rather than accessing unbiased information. While it is true that politicians represent the will of voters, it doesn’t mean that the check-and-balance process between the people and their representatives should be halted. What seems to be lacking in our news reporting are grass roots stories and narratives. We tend not to value the voices of the people as much as we value the words that come out of the mouths of politicians. 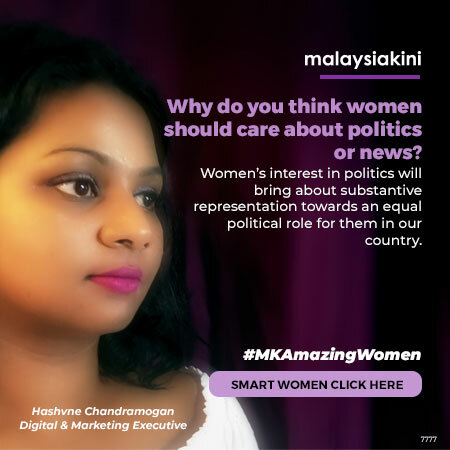 As a result, only certain sentiments end up becoming Malaysia's official political narratives. Take, for example, the Seafield temple scuffle that recently hit the headlines. A web search reveals that, in general, only the efforts of politicians were highlighted and, apparently, became the story's 'heroes'. 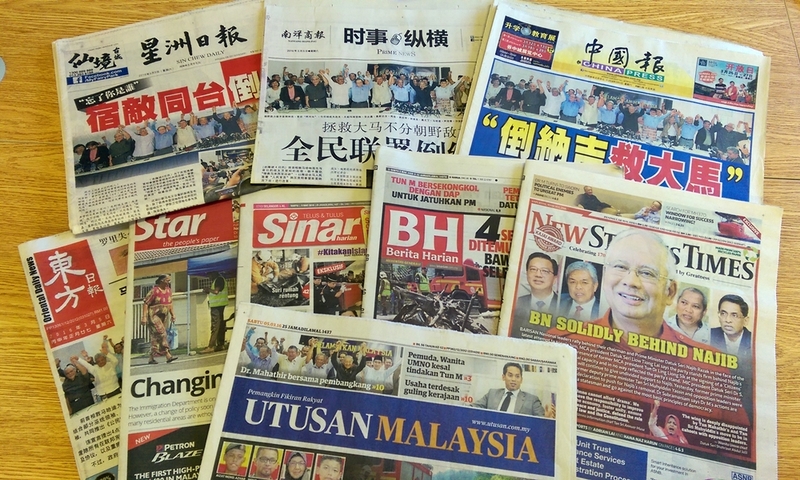 The same happened to the media coverage of the rally against the ratification of the International Convention on the Elimination of All Forms of Racial Discrimination (Icerd) held in Kuala Lumpur last year. While many rally attendees did not truly understand the meaning behind the gathering, what came out most clearly was that the rally was led by a bunch of opportunistic politicians who took advantage of it to enhance their own political power. But hold on a second: do we really know what the real sentiments were among the people? While we are constantly force-fed content that revolves around or originates from politicians, there are many other untold stories and narratives that we end up missing without giving them due attention. Even though political narratives may suggest that Malaysians are increasingly divided, what is evident, on the contrary, is that they can still celebrate Chinese New Year, Hari Raya or Deepavali together in harmony. 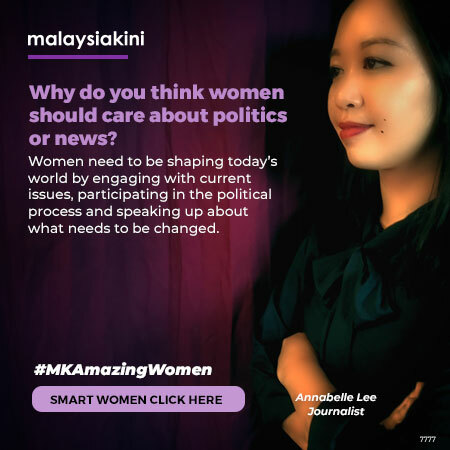 However, such stories of Malaysians of different ethnicities who share happy moments during holidays – something that goes against the usual politically-crafted social narratives – should be popularised not just during the festive seasons. Even if it's not considered the best among many other existing political systems, the essence of democracy is that it respects the citizens’ freedom to make their own informed decisions. Therefore, what is required in any democracy is to have both liberated and politically active citizens. It is ironic, however, to think that people are still not free, when the root concept of the people's rule is to give birth to a democratic society. Equally crucial in any democracy is, of course, the media, and its role as an amplifier of the people's power. It is, therefore, time to break away from politician-centred politics, which only portrays politics as the outcome of the politicians' own actions. Politics should neither be just about the politicians, nor merely about political parties, or the power-struggle between politicians or dynasties. It is about ideas and philosophies, and of policies and solutions that improve the well-being of a nation. Again, the role of the media is important in taking back politics from the hands of politicians. A politically disentangled media can be a very effective tool through which to empower citizens and strengthen a democracy: otherwise, society would remain feudal, and the term ‘democracy’ would be no more than a meaningless label. Because at the end of the day, a politician's role is to serve the people, not the other way around. MOHD IZZUDDIN RAMLI is an analyst at Penang Institute. He received his master degree in Political Science from University Sains Malaysia (USM). His research interests include Malay political culture, religion and politics, and subaltern politics, particularly in arts.